This is the time of year when we all look forward to a few festive days, away from the incredibly busy lives we all lead, looking back at what has gone, preparing for what is to come. As an ancestor is reported to have said, "Christmas is a season not only of rejoicing but of reflection." 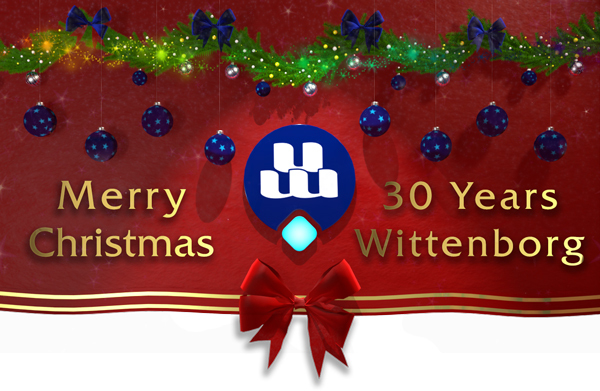 And what an incredible year it has been at Wittenborg, celebrating our 30th anniversary, welcoming many students from the Netherlands and around the world to Apeldoorn, to our entrepreneurship in Amsterdam, and our new location in Vienna! It was a year in which Wittenborg and its team gained home and international recognition for its internationalisation and its diversity, and for its international programmes. It was a year in which Wittenborg was recognised as being ranked 4th Best Small University of Applied Sciences – a proud moment for students and staff. During 2017 - the Wittenborg family reached totals of almost 700 students and over 80 staff members. Building this great team has been inspiring, and while we welcomed lots of new colleagues this year, we also sadly said goodbye to two important members of the team. We would like to thank sincerely our team of colleagues for making our achievements seem so easy, and for our wonderful students for joining us on this journey. We wish everyone happy holidays, however long or short they may be, and however close or far from home you might be. Go safely! And what of 2018? – That’s for another message!